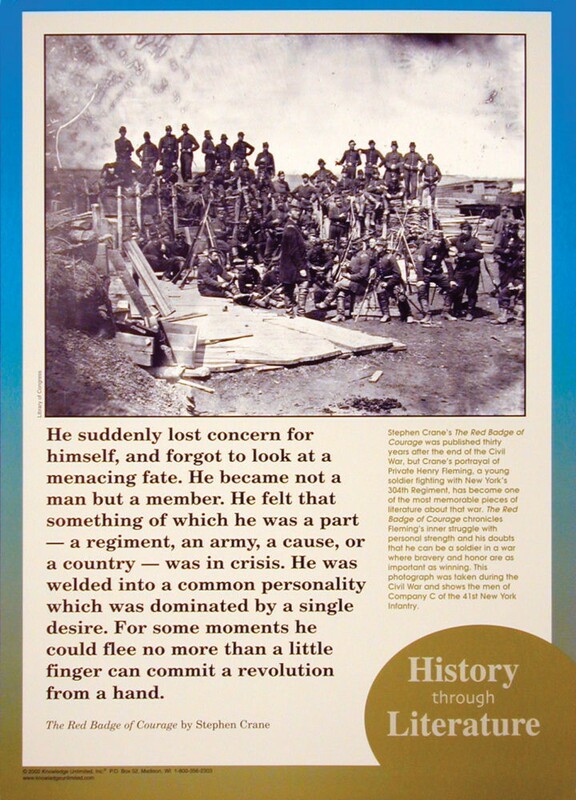 This poster connects Stephen Crane's classic novel "The Red Badge of Courage" to the period in history in which the novel takes place. 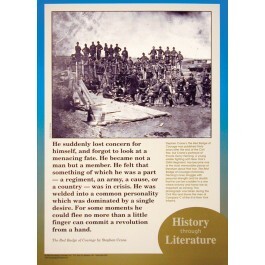 The poster contains a historic photo taken during the Civil War of the men of Company C of the 41st New York Infantry, along with explanatory text that illuminates the connection between literature and history. It also contains a quote from the classic novel.